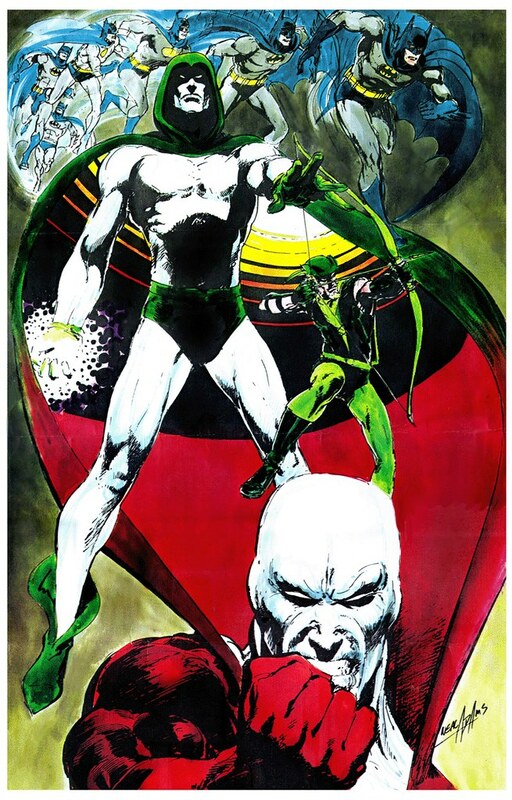 Giant-Size Geek: 1970s era Neal Adams poster featuring Batman, Deadman, The Spectre & Green Arrow! 1970s era Neal Adams poster featuring Batman, Deadman, The Spectre & Green Arrow! Here’s a poster that I lusted after in the 1970s: DC Comics characters from the Silver Age that Neal Adams put his mark on. Batman, The Spectre, Green Arrow, and Deadman! Besides being a poster, I think this was also used on a book about Adams. It’s just terrific, especially that image of Deadman—so glad that he is getting some attention in Brightest Day. Nuff Said!